Medley, FL – All Florida Paper has introduced Clean2Succeed®, a comprehensive food service sanitation cleaning and safety program for foodservice establishments in supermarkets, restaurants and hotels among others. The program offers state-of-the-art dispensing systems, tools, equipment, and education and training resources, supported by All Florida Paper’s more than 20 years of expertise. The mission of Clean2Succeed® is to offer a service that is simple to use, safe for employees, and provides opportunities for increased revenue. The direct relation between profitability and sanitation practices is nothing new according to Cornell University Food Science Professor Robert Gravani. The Cornell University research study found that that an effective food service sanitation program is vital for a supermarket to maintain good customer relations and profitability, especially in fresh foods departments. In a survey he conducted, Gravani found a direct link of employee knowledge levels of proper food handling and sanitation practices with a store’s profitability. Additionally, after comparing the responses of more than 800 supermarket workers with the fiscal performance of over 58 deli departments, the study concluded that increased employee knowledge improved departmental profitability. Additional findings from the study reported that “you’ve got to have things written down,” and continued by saying, “procedures, schedules, and manuals should be in place so that everyone knows what’s expected of them.” In addition, the study also recommended that along with consistent monitoring through record keeping and regular inspection, the success of these systems depends upon effective employee training programs. If all of this seems overwhelming, don’t worry. Clean2Succeed® customizes a program to your business’ specific needs. You will receive everything from manuals, training procedures, and cleaning checklists by department. You will also receive a variety of educational materials to help train your employees. And as a customer, you will have access to this 24/7, using All Florida Paper’s online customer database. 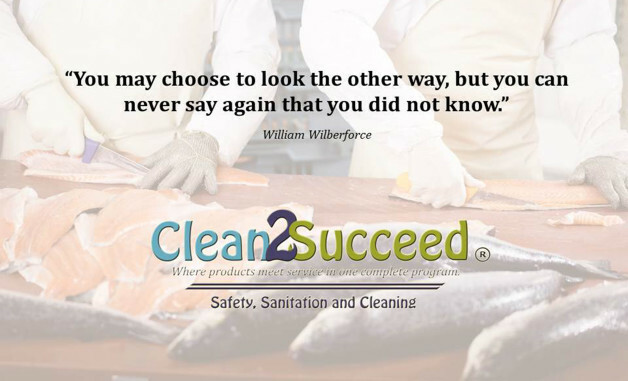 For more information about Clean2Succeed®, or to request an appointment, contact a food service sanitation specialist at (866) 835-6060 or visit our website at www.allfloridapaper.com.